THE FLEET has been serving the public of Purfleet and surrounding areas since 1909. Our aim is to be a place where people can meet and relax while sharing really good food & drinks served by our friendly staff. We serve a wide range of draft, bottled beers and wine to accompany your meal. All dishes are freshly prepared by our professional chefs. We endeavour to source all produce locally. THE FLEET is an ideal venue for a private functions. We can cater for all possible events, including birthdays, anniversaries, weddings and christenings. We are family friendly and have full disabled facilities. 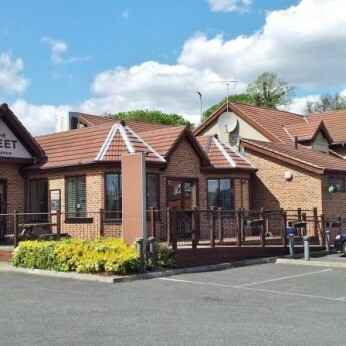 Our Restaurant can accommodate approx 50 people for a sit down meal or approx 300 people for a buffet.